Stephen Hawking’s ashes have been laid to rest at Westminster Abbey on Friday. 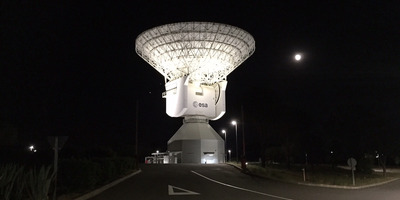 The composition is by Vangelis, who wrote the “Chariots of Fire” theme, and was broadcast by the European Space Agency. Stephen Hawking’s voice has been beamed into space as a “message of peace and hope” to the universe as his ashes were laid to rest on Friday. European Space Agency/FlickrThe European Space Agency beamed Hawking’s voice from its satellite dish in Cebreros, Spain. It isn’t clear exactly what the voiceover will say. The Vangelis piece will be played to guests at Friday’s service, and be released to the public at an unspecified date, CNN reported. Hawking’s family, friends, and 1,000 members of the public attended a thanksgiving service at Westminster Abbey, London, which started at midday local time on Friday. At the service, Hawking’s ashes were interred between fellow British scientists Sir Isaac Newton and Charles Darwin. A memorial stone with one of Hawking’s most famous equations was also placed on top of his grave. Hawking’s daughter Lucy described the music to accompany the physicist’s words as a “beautiful and symbolic gesture that creates a link between our father’s presence on this planet, his wish to go into space and his explorations of the universe in his mind,” according to the BBC. 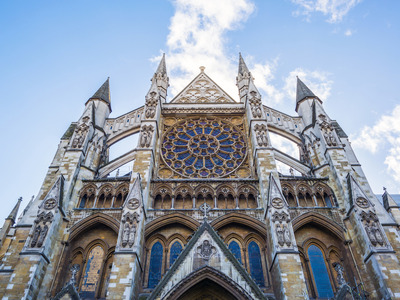 Jeremy Wee/ShutterstockHawking’s ashes were laid to rest at Westminster Abbey.